You’ve probably noticed that Google’s been doing quite a bit of under-the-hood tweaking in the past few months, both in products like AdWords and Analytics as well as the search experience for the end user. Some changes have been really obvious (Google secure search), and some a bit more subtle. At the beginning of the month, Google announced it would be implementing new ad placements on search, wherein some ads on SERPs that had previously been featured in the sidebar will now be featured at the bottom of the page. Google’s reasoning for this change is further optimizing SERPs for the best user experience possible, citing that “displaying ads below search results fits better into the user’s flow as they scan the page from top to bottom”, noting that this placement had even better click-through rates in testing compared to sidebar ads. Not all ads will be affected by this change, but it’s yet another indicator to the importance of maintaining high quality ads (with a high Quality Score) so that they will stand a better chance of attaining more prominent placement. You want your ads to catch your prospects’ attention no matter where they’re placed, but with Google’s changes to ad placement on SERPs, you’re now faced with more possibilities as to where your ad might end up if it’s not as strong as a competitor’s ad. 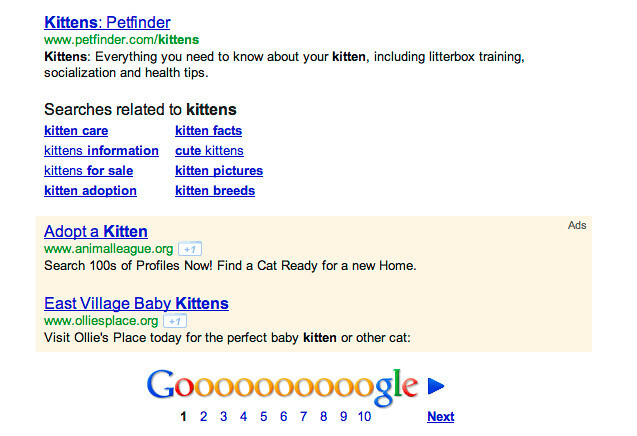 Want some further insight to where your ads might fit best on the Google SERPs? Head over to WordStream to learn how to use the “Top vs. Side” AdWords reporting segment and see where your ad appeared and compare its performance in all locations.